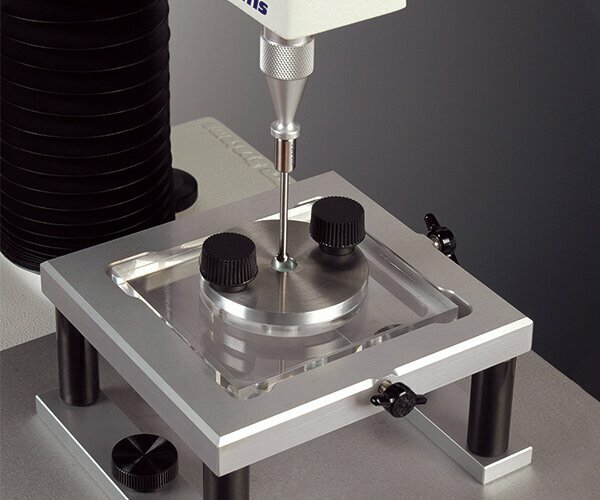 Let us show you a range of possibilities for measuring textural properties of gels and film products with a texture analyser. 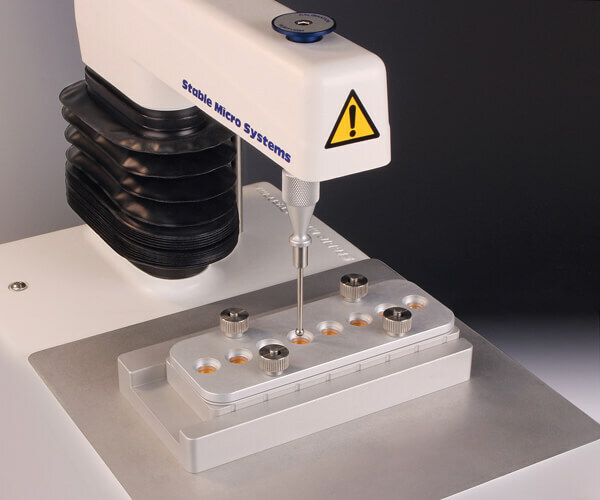 The measurement of gels and film properties is of widespread interest in the manufacture of food, packaging, pharmaceutical, medical and cosmetic products. 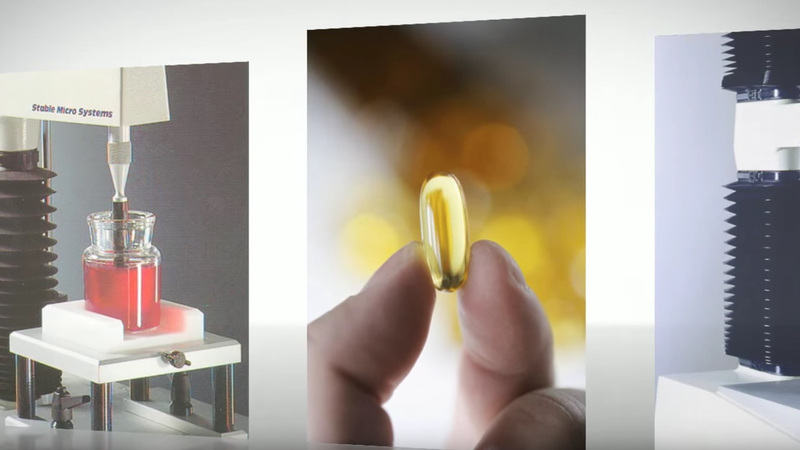 Gel strength, elasticity and rupture force are important in the development of such products as coronary stents whilst gel-forming properties are useful in the manufacture of wound dressings, jelly lubricants, contact lenses, suppositories, soft gel capsules and bacterial growth media. The strength of gels can also be utilised in products such as toothpaste, creams and pastilles to modify the consistency of the required end product. Edible films meanwhile represent an area of rapid development as they have the potential to reduce and simplify packaging materials required for the protection of food products or carry active additives or functional ingredients such as antioxidants, antimicrobials, flavourings or pigments. They can also be used on the surface of food as a coating material for nuts, beans and fruits to improve their mechanical integrity, provide textural interest, gloss or tack characteristics. Films can be tailored to be applied between different layers of food components to prevent mass transfer phenomena that could deteriorate the quality of foods such as pies, sandwiches, pizza and confectionery products. For each of these applications a Texture Analyser will be a key tool in the assessment of physical properties that are required. 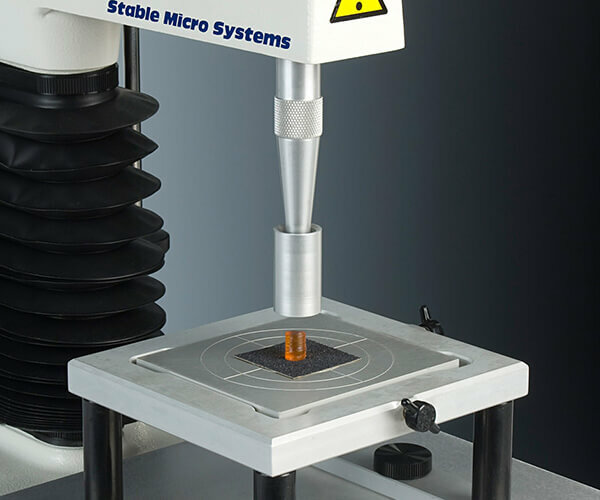 A wide range of GEL AND FILM PRODUCT test methods is built into Exponent Texture Analyser software and will automatically load at the click of a button. 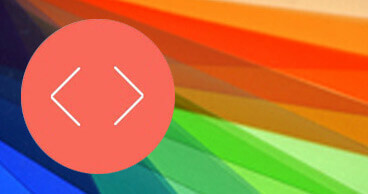 We help make your testing quicker to access and the analysis of your product properties already prepared for you. We’re completely dedicated to finding the right testing solution to meet your specific product needs – but don’t just take our word for it, read an example of what our customers have to say. 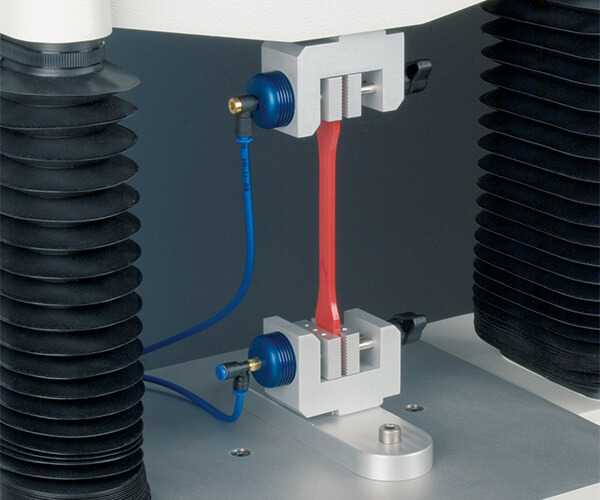 A selection of special attachments and typical measurements which are commonly used in this application area are shown below, although this does not necessarily include the complete range available for the testing of gels and film products. Test procedures include: compression, puncture / penetration, tension, fracture / bending, extrusion, cutting / shearing. With the use of a Bloom Jar and Centralising Base. 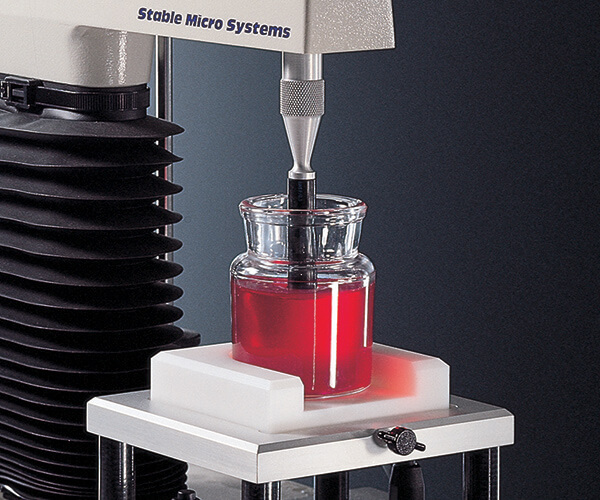 For GMIA or ISO Standard Bloom Strength (Gelatine) or Gel Strength measurement. Self-supporting gels can undergo compression testing to provide a measure of fundamental moduli. 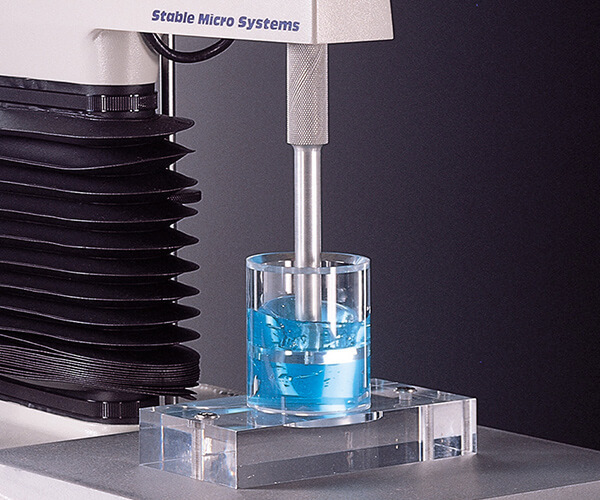 This rig measures the consistency of viscous and gelled products. 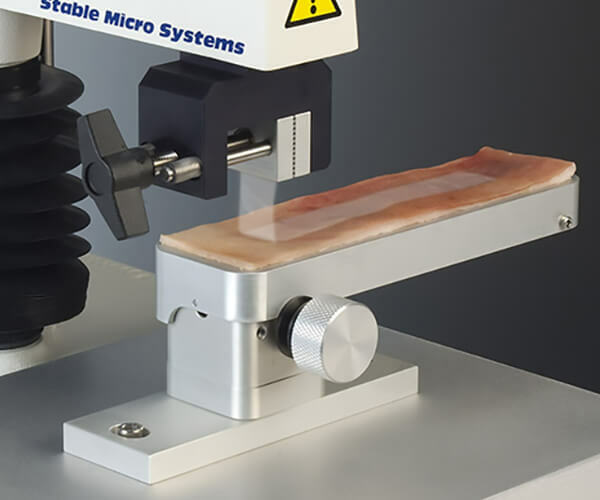 Allows 90 degree peel testing via a sliding platform. 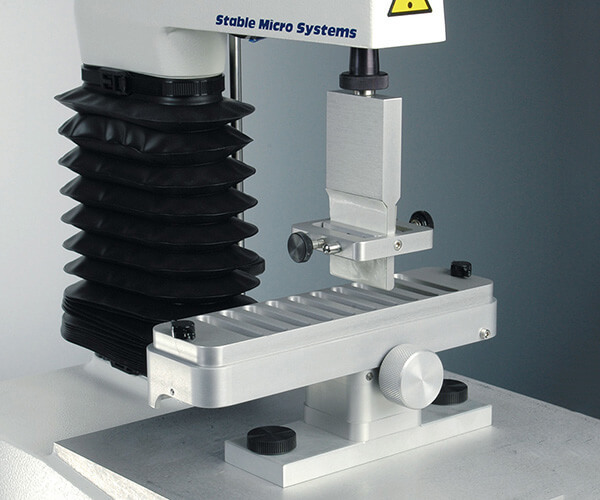 This device incorporates a multi-slot plate and a clamping fixture for the measurement of adhesiveness of films against a substrate. 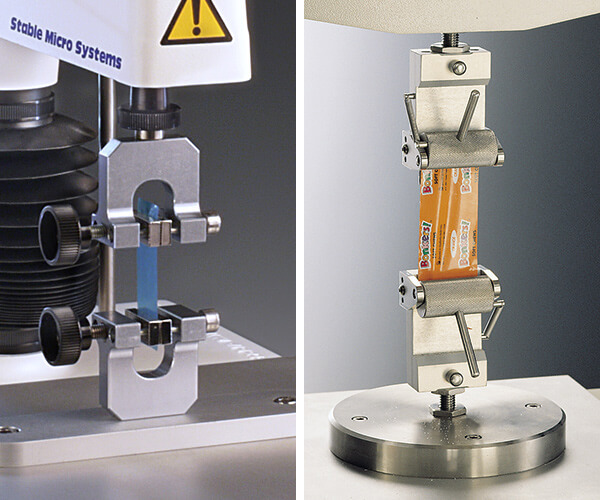 Provide a means of clamping a film material for the measurement of tensile strength and elongation.